Introducing a new design! 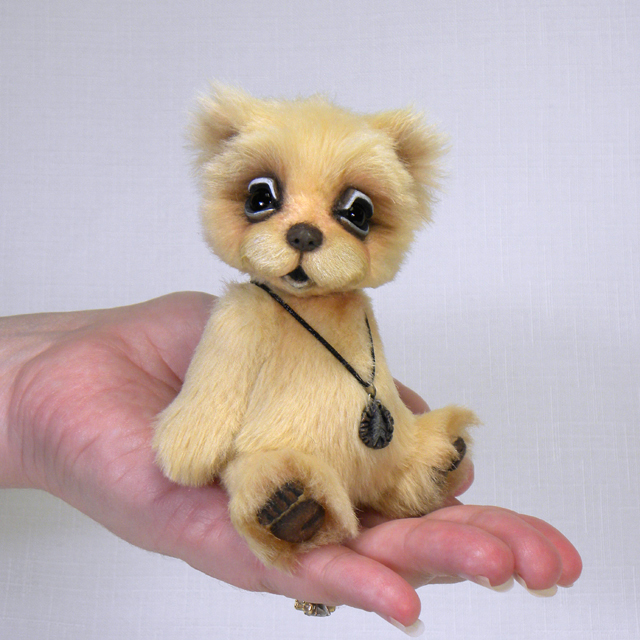 River is an adorable mini bear made from vintage Tissavel fur. He stands approx. 4” tall and has the sweetest expression and details! River is nicely weighted and has been shaded with acrylics for added depth. River is currently available for $195 with free US shipping or $25 international shipping. If you would like to adopt River please choose your shipping method from the Paypal drop-down menu below.